The arrival of monsoons heralds a mixed bag of emotions within me, the cool breeze, the dreamy weather, the drizzle, the pitter patter of raindrops, the occasional rainbow spotting and the exuberant whiff of wet mud all elevate my mood and mind to a zen like state. However the damp streets staining my feet, the family sniffles and the rabbit like multiplication of mosquitoes totally puts me off. The monsoons also bring in their kitty my favorite fruits like cherries, peaches and plums. I love how they are sweet and tart at the same time, and but naturally I like to restock them again and again through their short three month season. Now besides being a lover of fruits and colours, I’m also a lover of a very special little person, my son. And like most toddlers his age, he is a fussy eater who wants nothing to do with these fruits. But a mums gotta do what a mums gotta do a.k.a feed him seasonal fresh produce, secretly hidden in the guise of a delicious treat. So as always I kick start the machinery in my brain of ways to feed some plums to the apple of my eye. Thankfully I still have a functional R.A.M aka the random access memory in my brain, which recalls a lovely cherry cobbler that I made many moons ago. The recipe is simple, easy to put together and one can alternate between available ingredients on hand. Now what exactly is a cobbler? 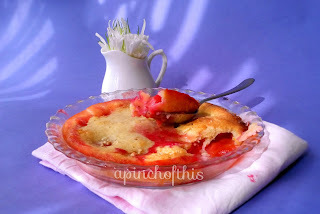 It essentially is a rustic dessert made of fruit topped with a sweet pastry dough, it is then baked till the fruit is soft and gives off its juices, and the pastry is baked and golden. So without further banter, here’s how I made it! 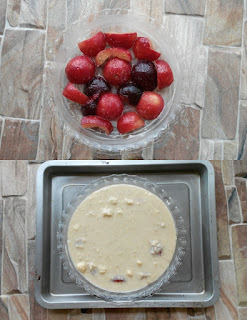 -Butter a quarter plate sized baking dish, and arrange the plums which have been pitted and cut in half, upside down. 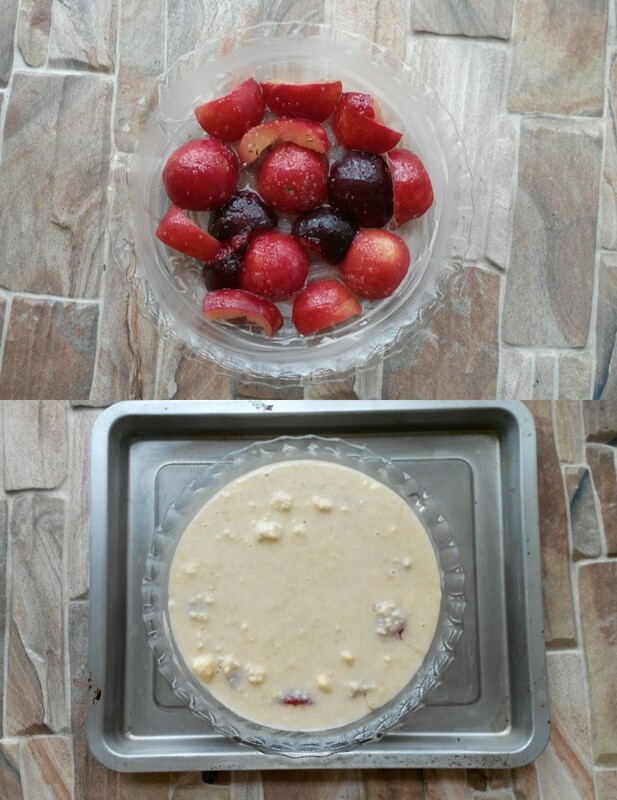 -Sprinkle the plums with 1 tbsp sugar and keep aside till you get the remaining ingredients ready. -In a separate bowl mix the remaining sugar, flour, cashews and cold butter cut into cubes. -Mix using the pad of your fingertips till the mixture resembles coarse breadcrumbs. -Now add in a little milk till the mixture comes to a thick pouring consistency. -Pour over the sugar dusted plums. -Bake in a preheated oven @ 160 degrees Celsius for 35 to 40 mins. -Serve warm with a scoop of vanilla ice cream or quenelle o’whipped cream. NOTE: 1. Traditionally a cobbler does not require the additions of any nuts. I have simply added them in to make it healthy for my toddler. 2. Do not and I insist DO NOT forget to add in the cinnamon, it takes this dish from yay! to yooohooo!! !